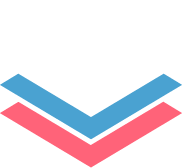 📣 How do I check document feedback I have received? 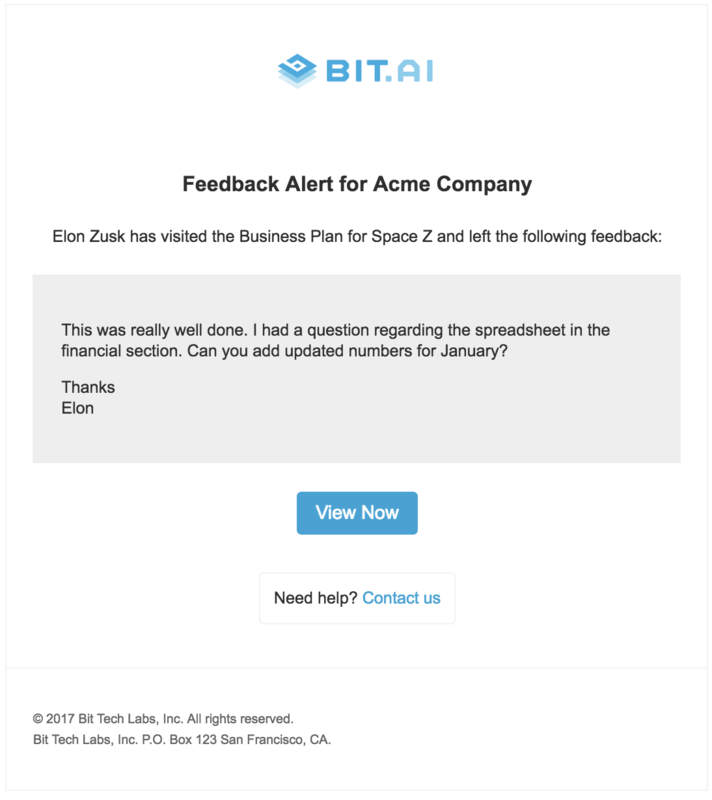 You will receive an email when someone leaves you feedback on your trackable document. Skip to Final Step below. 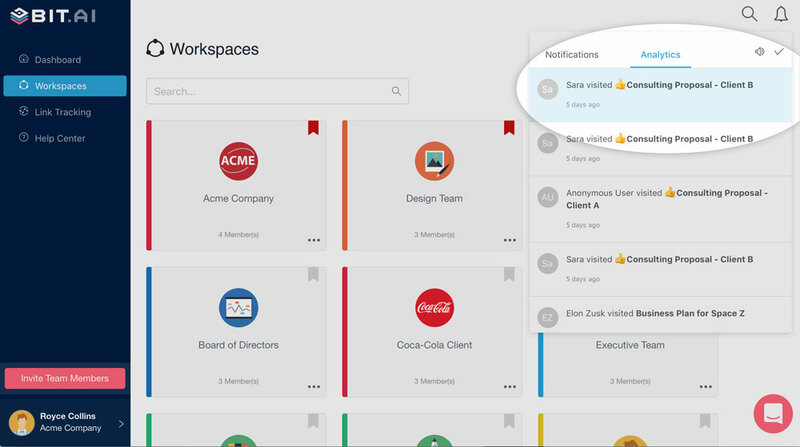 You will receive an in-app notification when someone leaves you feedback on your trackable document. Skip to Final Step below. You can click on the Link Tracking button on the sidebar. 2. 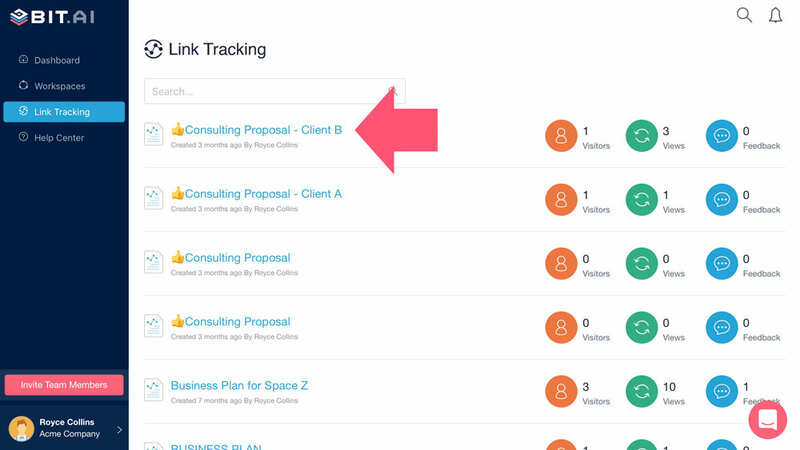 Next, you will see a list of your trackable links. 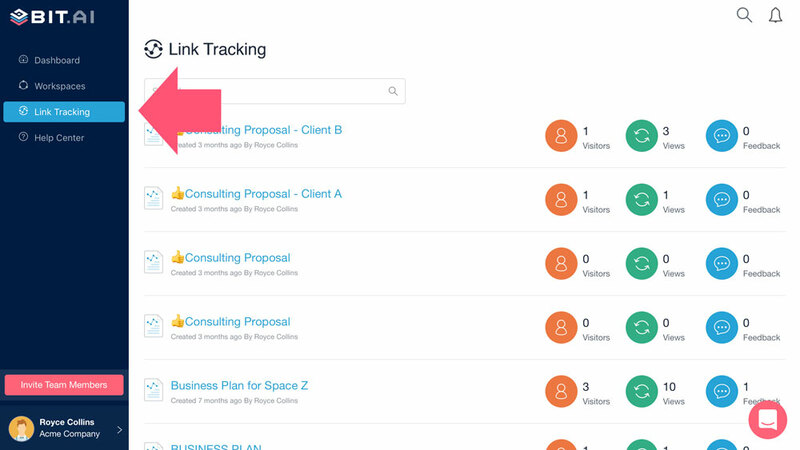 Open up the trackable link you're studying. 3. 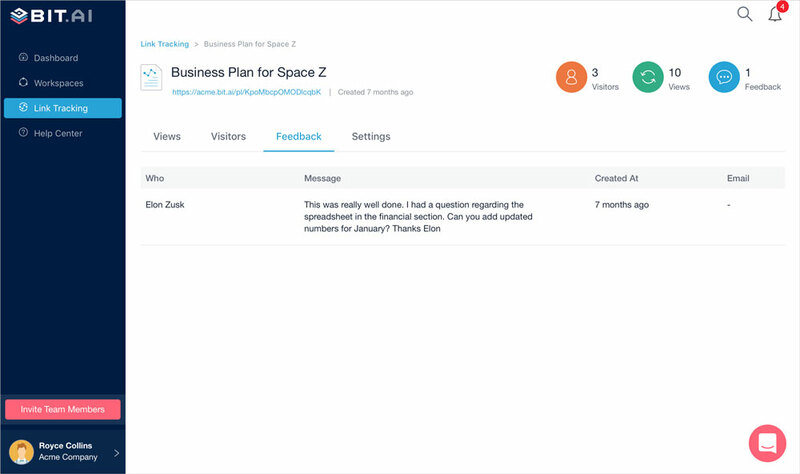 Click on the feedback tab and from there you can view all of the feedback you have received on that document.